Courtesy of Charles Heaver with Berkshire Hathaway HomeServices KoenigRubloff Realty Group. All available listings may not show in this list, call me for additional information. Located in the private forested community of Wildwood, experience the feel of Northern Michigan just 90 minutes away from Chicago. This beautiful 5 bedroom, 4.5 bath lake home is thoughtful and has meticulous craftsmanship throughout. 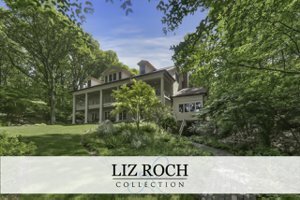 Perched on the perfect elevation, offering unobstructed vistas of Lake Michigan and timeless sunsets situated on, rarely available, 4 acres featuring 260 feet of beachfront access. Enjoy light-filled vaulted ceilings, 3 fireplaces, stunning terrace spanning the length of the home, a bonus level/game room, 2 kitchens, 2 car garage, Geo-Thermal heating and cooling, a charming boat house with additional outdoor space steps away, paved with reclaimed bricks from the historical St. Joseph downtown district, and much more. Truly a gem and not to be missed, we promise!